Planning your first trip to Northern Ireland? 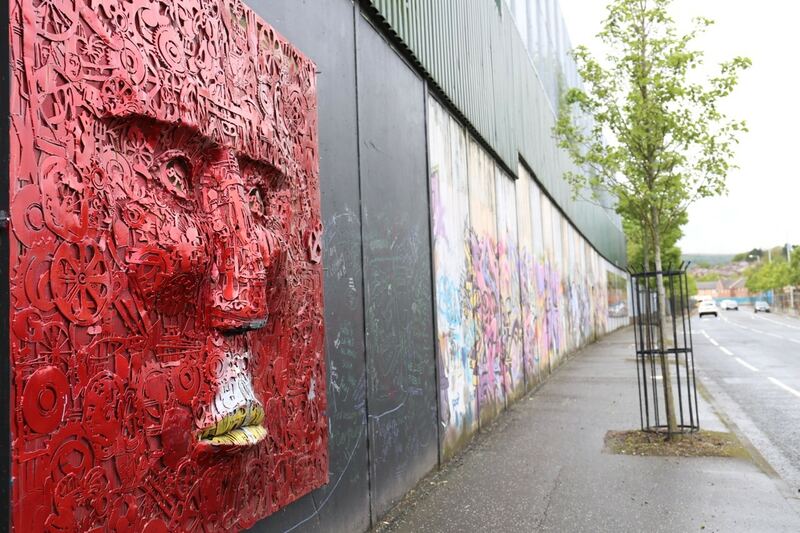 You’ll certainly want to sketch out a list of things to do in Belfast. For those who are unfamiliar with the Land of Leprechauns, let it be known that the Emerald Isle is split in two. Dublin, the capital of the Republic of Ireland, to the south is a member of the European Union. While Belfast, the capital of Northern Ireland, smiles for the Queen’s United Kingdom. Belfast was once lumped with Beirut, Baghdad and Bosnia as one of the four “Bs” for travellers to avoid. The city was regularly mired with gruesome international headlines, now politely referred to as The Troubles. Today, Northern Ireland practices peace and the capital has quite remarkably pulled off a transformation from bombs-and-bullets to a hip hotels-and-hedonism party town. The city’s skyline is in a constant state of flux. Old shipyards are giving way to the luxury waterfront apartments of the Titanic Quarter and Victoria Square. It’s Europe’s biggest urban regeneration project, adding a massive city-centre shopping mall to a list of tourist attractions that include Victorian architecture, waterfront lined with modern art and foot-stomping music in packed out pubs. 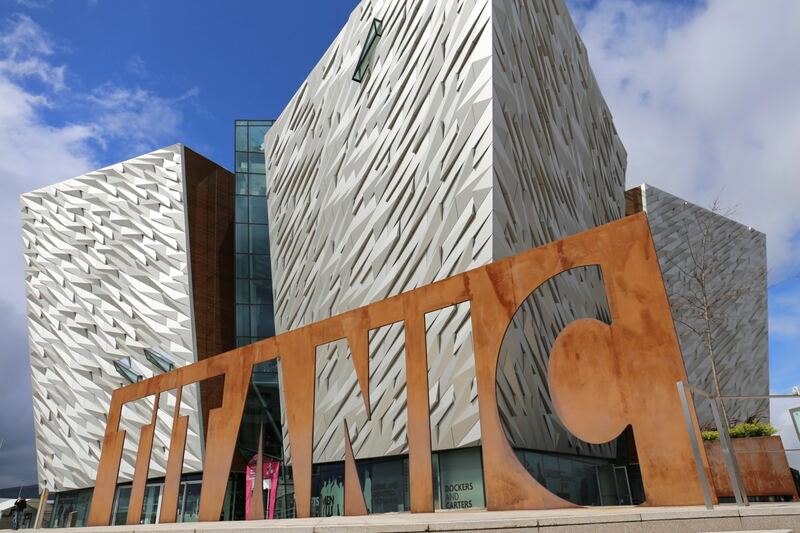 Titanic Belfast is a world-class interactive museum and the city’s star attraction. Three days is the perfect amount of time to spend visiting Belfast’s best attractions. Start by booking a centrally located hotel then organize your list of things to do in Belfast by regions of the city so you aren’t waiting time zig zagging to and fro. 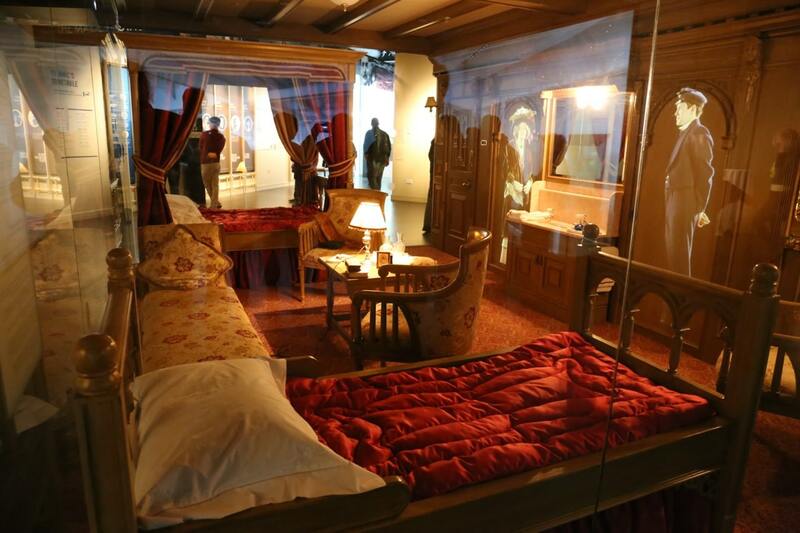 You’ll definitely want to leave ample time to enjoy the Titanic museum. Block out an entire morning or afternoon to enjoy Belfast’s top attraction. Things To Do in Belfast: Sleep at the Fitzwilliam Hotel. 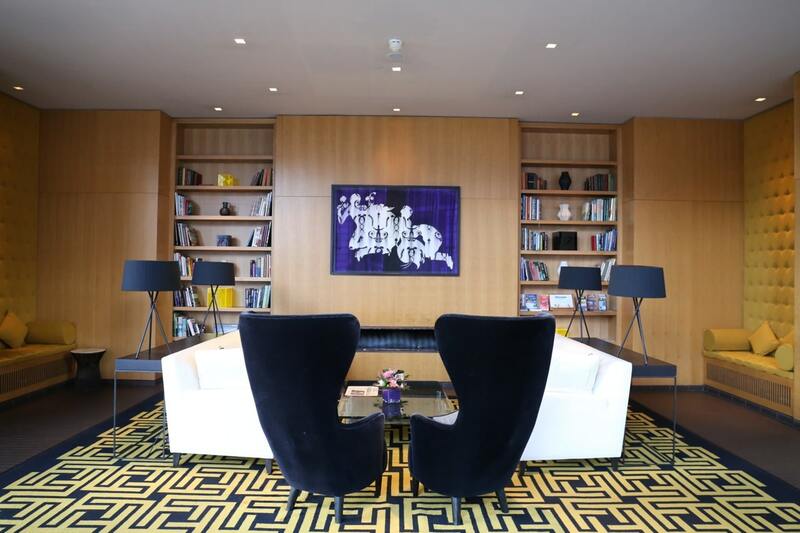 The luxurious Fitzwilliam Hotel acts as the glamorous neighbour to the Grand Opera House on Great Victoria Street. The design-led luxury property is the first of its kind in Northern Ireland’s capital, adding an enthusiastic stylish flare to the city. The look of the Fitzwilliam Hotel plays on “Baronial Moderne,” coined in reference to an interior design concept that marries traditional references to the grand baronial mansion house with a modernistic / deco styling. Arriving in the lobby guests are greeted by a cosy fireside nook, perfectly juxtaposed by edgy white leather sofas which sit on black and gold carpet under a dramatic double height lobby. On the 8th floor six studio suites boast fabulous open plan layouts where bedroom flows into bath, past a jaw dropping panorama of the city via floor to ceiling window wall. An opulent free standing bath offers the perfect solo bubble party while double walk in shower and glitzy dressing area adds a touch of refined romantic potential. Things To Do in Belfast: dine around at the city’s best restaurants. Belfast offers a diverse array of dining options from classic Irish pub fare to glitzy and glamorous, over-the-top fine dining restaurants. 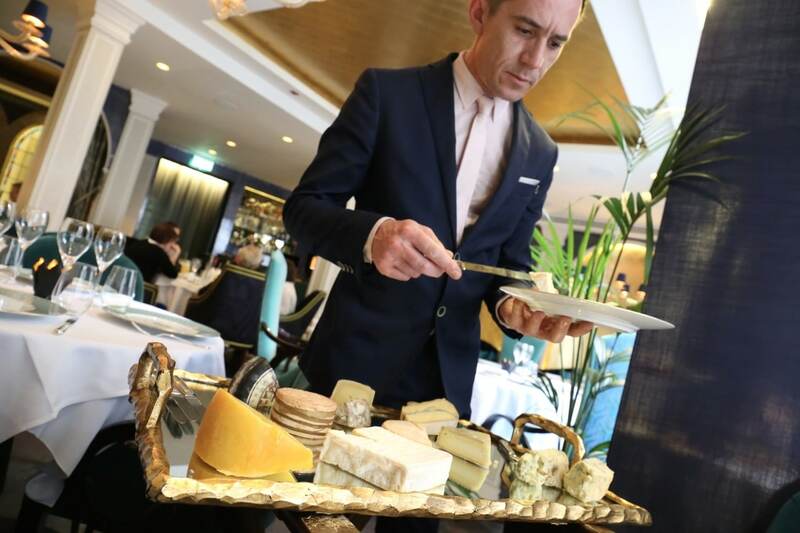 You’ll ensure every one of your meals in the city is memorable by booking reservations at The John Hewitt Bar, The Restaurant at Fitzwilliam Hotel, Deanes Meat Locker Restaurant, Hadskis Restaurant or Saphyre Restaurant. 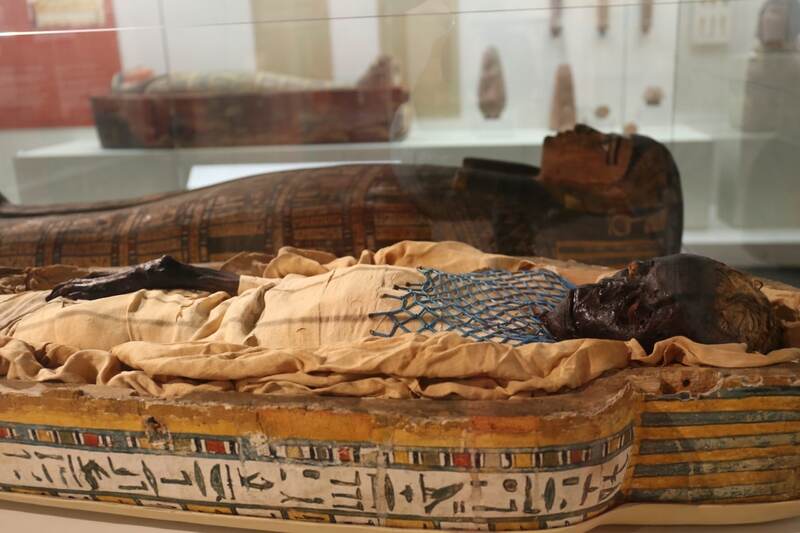 Things To Do in Belfast: history buffs love the Ulster Museum. Recently reopened after a major revamp, the Ulster Museum is now one of Northern Ireland’s must-see attractions. Ulster Museum is located just a short stroll from Queen’s University and the Botanical Gardens. The multi-purpose museum is broken down into three zones making a visit easy to navigate. Starting your visit to the Ulster Museum on the top floor. The Art Zone features a colourful display of sculptural and painterly works, which highlight notable local artists. The Nature Zone starts at the ice age, passes through the dinosaur period and touches on the biology and geology found in Ireland today. A final jaunt through the History Zone showcases a swath of artifacts from prehistoric and Medieval Ireland, the plantation period of the 1600’s and The Troubles. 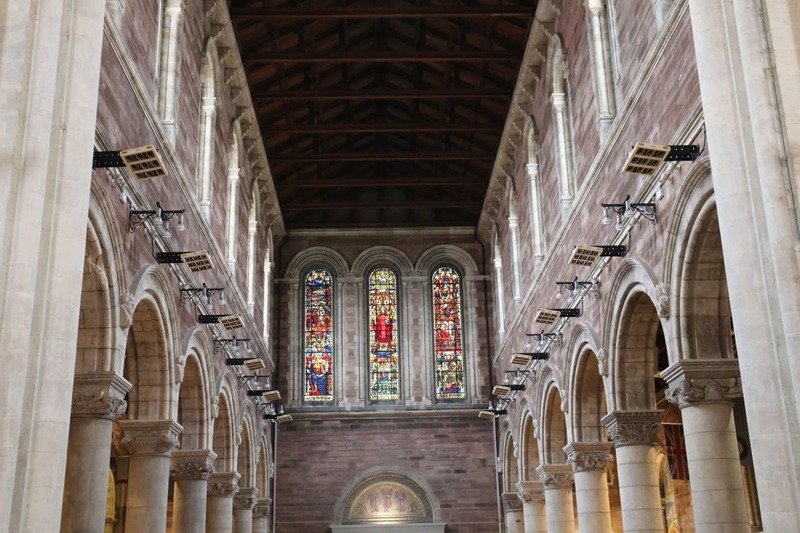 Things To Do in Belfast: enjoy a religious experience at St. Anne’s Cathedral. Saint Anne’s Cathedral began construction in 1899 and was built in an imposing Hiberno-Romanesque style. A stunning mosaic of The Creation in the baptistery contains 150,000 pieces of coloured glass while the 10 pillars of the nave are topped by carvings symbolizing aspects of city life. St. Anne’s Cathedral has a stunning organ with four manuals. It’s the second largest pipe-organ in Northern Ireland. If you’re keen to enjoy a religious service in the city you’re in luck as there are servers held every day of the week. Morning prayer is said at 8:10am and Holy Communion takes place at 8:30am. Midday prayers are at 1pm and choral evening songs are at 5:30pm. On Sundays there are four services held in Belfast Cathedral at 8am, 10am, 11am and a choral evening song at 3pm. 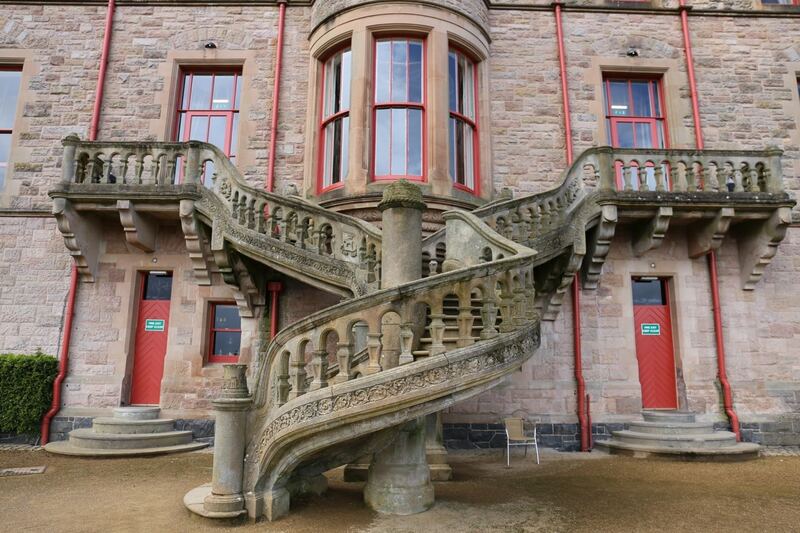 The best views in the city are enjoyed at Belfast Castle. Visitors to Belfast Castle stand on the slope of Cave Hill some 120 metres above sea level and take in beautiful panoramic views of the city and harbour below. For generations Cave Hill has been synonymous with the city. The landmark is named after the five caves located on the side of the cliffs. They contain an abundance of natural, archaeological and historical features. Cave Hill’s most famous feature, known by locals as Napoleon’s Nose, is rumoured to have been the inspiration for Jonathan Swift’s famous novel, Guilliver’s Travels. Today, Belfast Castle is one of the city’s most popular points of interest, nestled in the Belfast hills in a fairytale setting. The castle is a popular venue for weddings, romantic dinners, conferences or special events. Belfast Castle was built in 1870 for the third Marquess of Donegall. The landmark was built in the Scottish Baronial style, made fashionable by Queen Victoria’s recently built Balmoral Castle in Scotland. Legend has it that Belfast Castle’s residents will experience good fortune only as long as a cat lives there. The tale is commemorated in the formal gardens by nine portrayals of cats in mosaic, painting, sculpture and garden furniture. 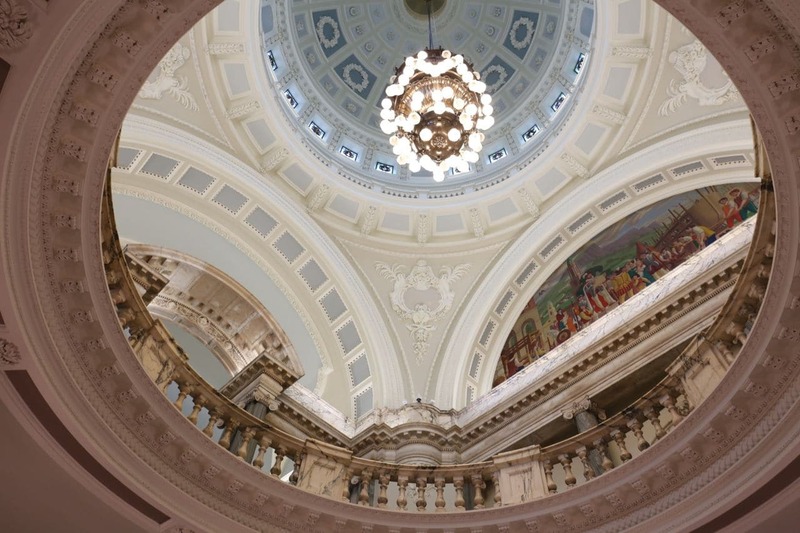 Architecture and design buffs swoon for the interiors at Belfast City Hall. The industrial revolution transformed Northern Ireland’s capital in the 19th century. The city’s rapid rise to muck-and-brass prosperity is manifested in the extravagance of Belfast City Hall. The site now occupied by City Hall was once the home of the White Linen Hall, an international Linen Exchange. Plans for the building began in 1888 when the city was awarded “city status” by Queen Victoria. The official decree offered recognition of the city’s rapid expansion and thriving linen, rope-making, shipbuilding and engineering industries. During this boom period, Belfast briefly overtook Dublin as the largest city in Ireland. Architecture and design fans can enjoy a free 45 minute guided tour of City Hall. You’ll start by admiring sumptuous Italian marble and colourful stained glass of the entrance hall and rotunda. The most memorable moment of the tour is when your guide offers an opportunity to sit on the mayor’s regal throne in the council chamber. Be sure to take a peak of the idiosyncratic portraits of past lord mayors. Things To Do in Belfast: enjoy a Black Cab Tour of the city’s political murals. Belfast’s best tours are hosted by locals in tiny black taxis. The popular Black Taxi tours focus on showcasing West Belfast’s political murals. Known locally as the “bombs and bullets” or “doom and gloom” tours – Belfast Black Cab Tours are offered by a large number of taxi companies. Since the start of the Troubles, the gable ends of the city’s housing estates have been used as informal canvases, painted with colourful murals that serve as territorial markers, political statements and defiant symbols of Loyalist or Nationalist identity. As the “voice of the community” the murals were rarely permanent, but changed to reflect the issues of the day. Be sure to reserve a Black Cab Tour a few weeks in advance. It’s the best way to get an education on the unique historical political issues of Northern Ireland. Things To Do in Belfast: plan to spend a half day at the Titanic museum. Perhaps the most famous vessel ever launched, RMS Titanic was built in the city’s famous Harland & Wolff shipyard for White Star Line. When her keel was laid in 1909 the city was at the height of its fame as a shipbuilding powerhouse. Today, the capital’s best attraction is Titanic Belfast, a world class museum which sits where the original ship was constructed. In its first year some one million visitors walked through the museums doors including Her Majesty the Queen, director James Cameron and Hilary Clinton. The iconic six-floor building features nine interpretive and interactive galleries that explore the sights, sounds, smells and stories of the Titanic, as well as the city and people who made her. 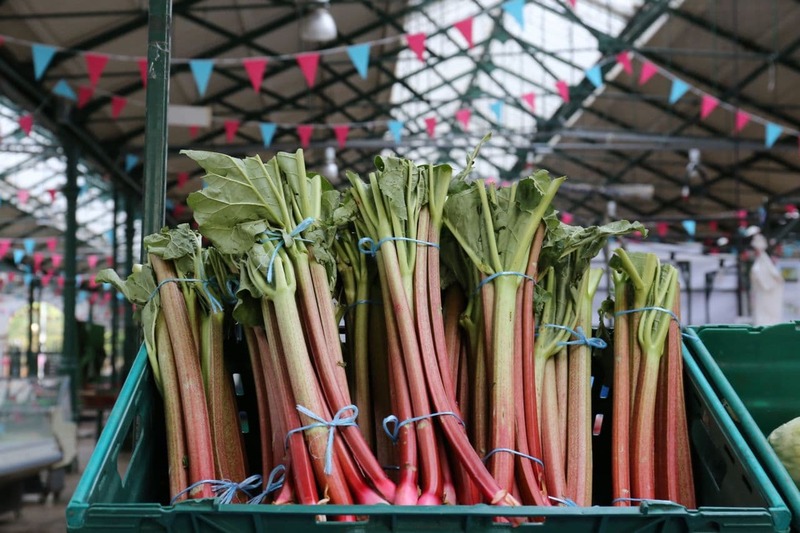 Things To Do in Belfast: foodies should visit the city’s market on the weekend. A short stroll from City Hall is an elegant Victorian covered market. St. George’s Market was built in 1896 for the sale of fruit, butter, eggs and poultry. The oldest continually operating market in Ireland was given a facelift after being recently restored in 1999. If you’re a food nerd like me and want to suss out the produce from the city’s finest farmers be sure to leave your Saturday or Sunday morning free. These two busy market mornings feature live music and the hustle and bustle of locals shopping for their weekly groceries. Perfect for people watching! Things To Do in Belfast: enjoy a spa day at The Merchant Hotel. The city’s most flamboyant Victorian building (the old Ulster Bank head office) has been converted into the city’s most luxurious hotel. The Merchant Hotel offers a fabulous fusion of contemporary styling and old-fashion elegance. For those looking to rest their weary feet look no further than the Merchant Hotel’s petite spa. If you’re in a rush sign yourself up for The Spa Taster. 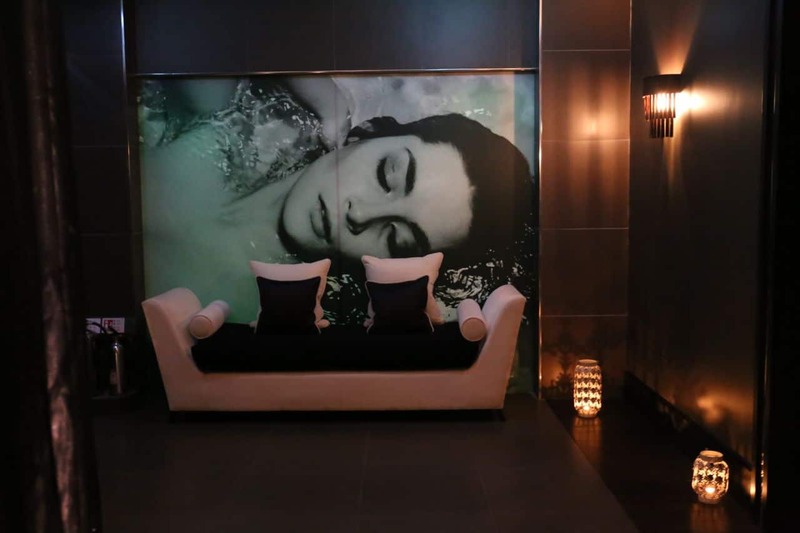 The signature treatment offers a quick refresh featuring relaxing hydrotherapy experience and choice of one 25 minute treatment: facial, back massage or body scrub. Make sure to plan for a leisurely day of rest and relaxation as the best spa in Belfast offers plenty to do before or after your treatment. The spa at The Merchant Hotel features thermal lounger, sauna, aroma steam room, hydro-pool, drench showers and ice fountain. The Merchant Hotel also offers spa guests a state of the art gym facility. The bright workout room offers stunning views across downtown Belfast. If you’re looking to work on your routine, book a qualified personal trainer to make the most of your valuable time. You’ll also find a quiet relaxation room where guests can enjoy reading while sipping a cup of herbal tea. If you’re feeling peckish you can also enjoy The Merchant Hotel’s traditional Afternoon Tea service. There’s no better way to end a spa day in Belfast than by cozying up in a plush robe to High Tea. 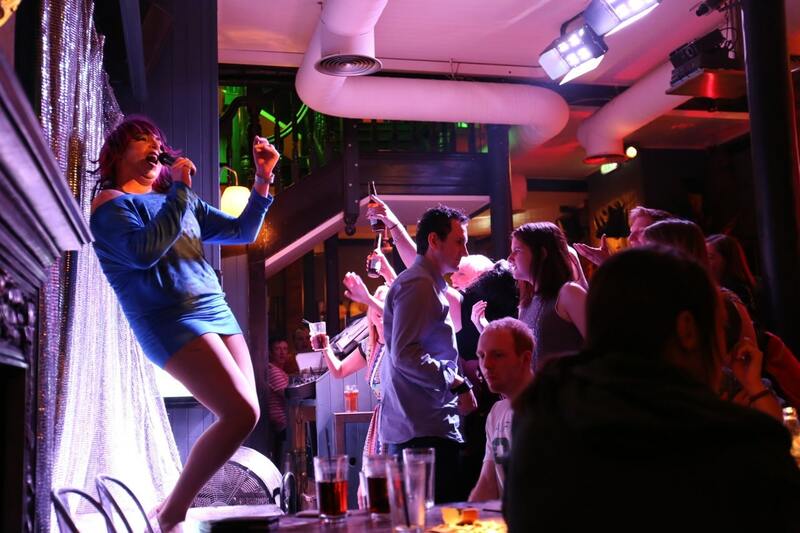 Things To Do in Belfast: enjoy a gay night out with drag queens at Maverick. 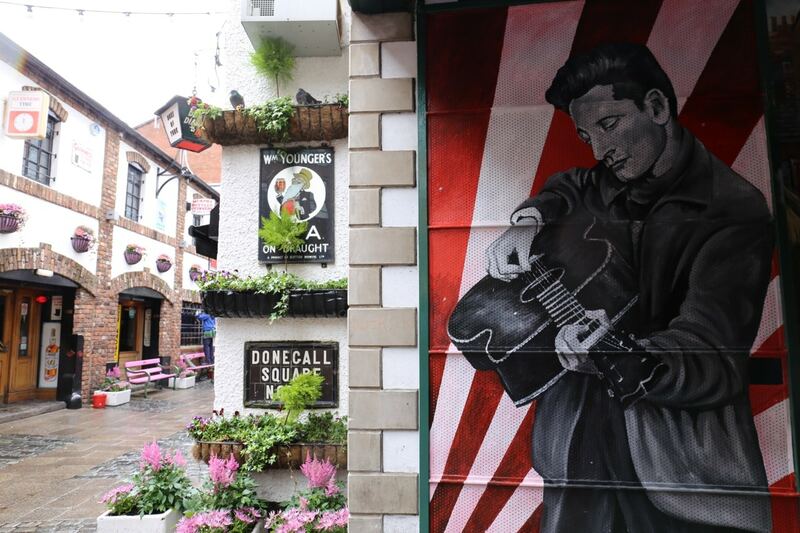 One of the best bars in the city is located in Belfast’s gay quarter. The gay bars and clubs in the city are centred around the Donegall and Union Street areas. Making a gay bar hopping night out a memorable moment of revelry. The most popular gay bars in Belfast are Kremlin, Union Street, Boombox, Shoe Factory and Maverick. Maverick gay bar first opened in November 2013. When Maverick first opening it was dubbed as “a radical alternative in the heart of Belfast’s Queer Quarter.” The friendly gay bar offers a range of craft cocktails, a well curated wine list, and a mix of local Irish and international ales and lagers. Maverick gay bar is open 7 days a week from 5pm-1am. The best nights to visit Maverick are are Sunday and Wednesday. Sunday Service offers a drag cabaret, comedy and karaoke from 8pm. On Wednesdays Hairyoke offers a fun spin on karaoke, hosted by bearded beauty queen Ross, aka the Voice Bear. The city’s most popular drag queen hits high notes in high heels and you can’t go wrong as admission is free.